Recently updated by yours truly. This site is the bold new Dr. Tornatore Ph.D. LMFT. Still user friendly and easy to navigate. More modern, interactive, colorful and bold. Dr. Tornatore wanted to make her site mobile friendly, but she also wanted to completely redesign it from the ground up to catch up with the times and her own personal changes. 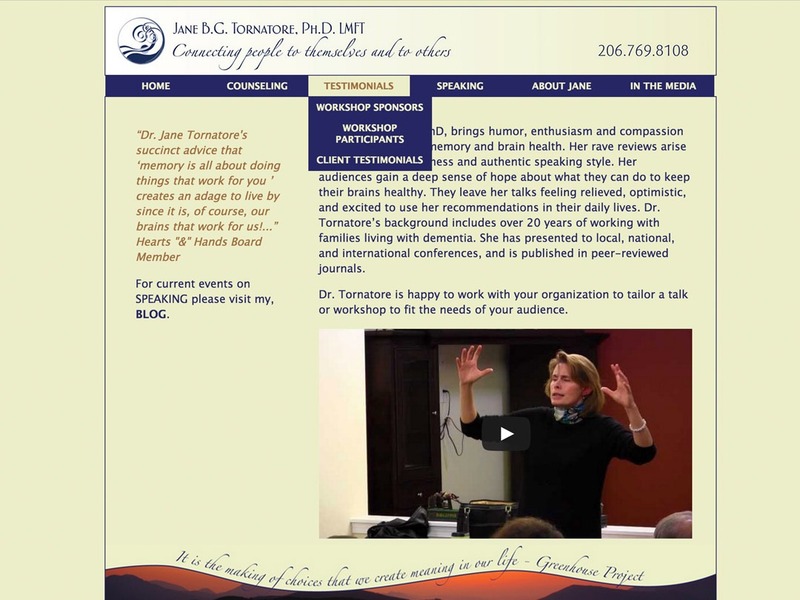 Although her new site page is not completely updated here at The Singing Tree – it IS currently live at www.doctortornatore.com, check it out. 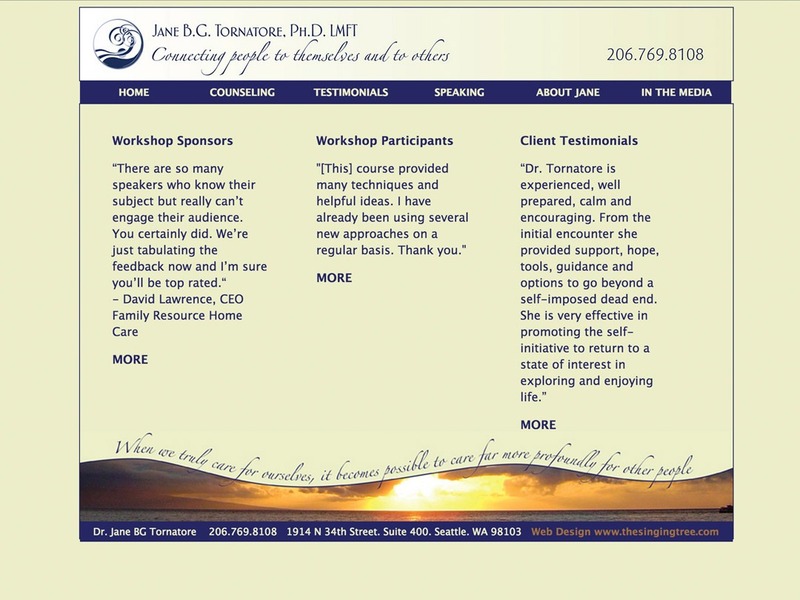 Dr. Tornatore Ph.D. LMFT came to me with a website already built, but she wanted something that was easier to navigate and more user friendly. We sat down to discuss her goals and came up with ideas for her new business identity. We went over colors and images that gave both a sense of calm, professionalism, with a clean informational format. 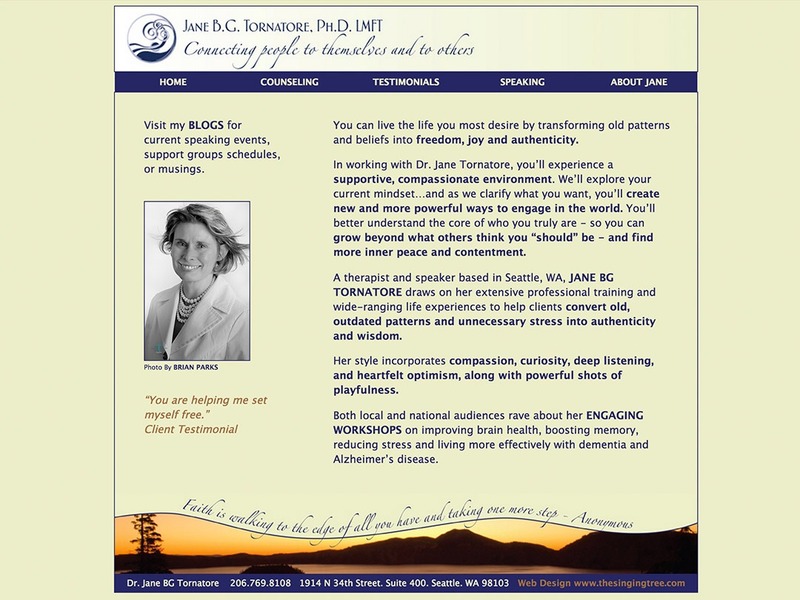 Dr. Tornatore is very knowledgeable in her field and had a lot to share. She wanted to display it in a way that would be attractive to both current and potential clients. I created a site that was both information packed, easy to navigate and pleasant to look at. 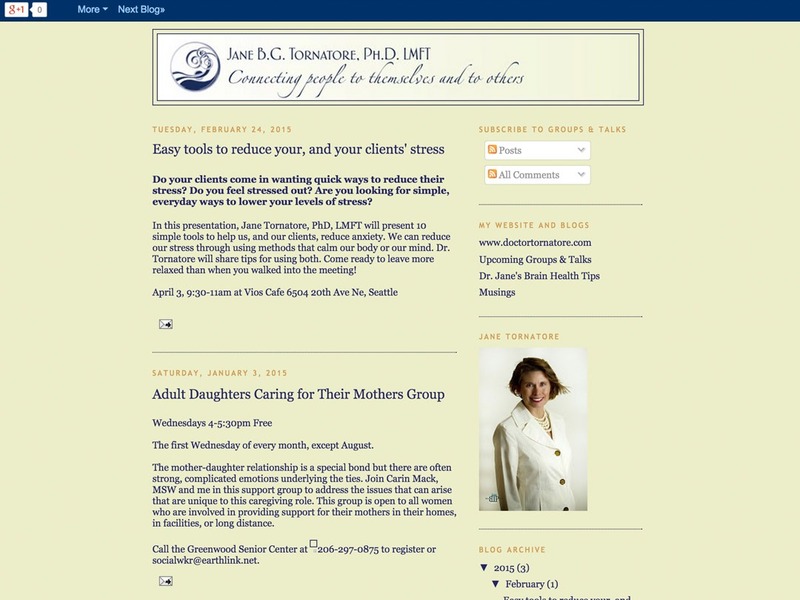 We developed several blogs and a newsletter with matching design. 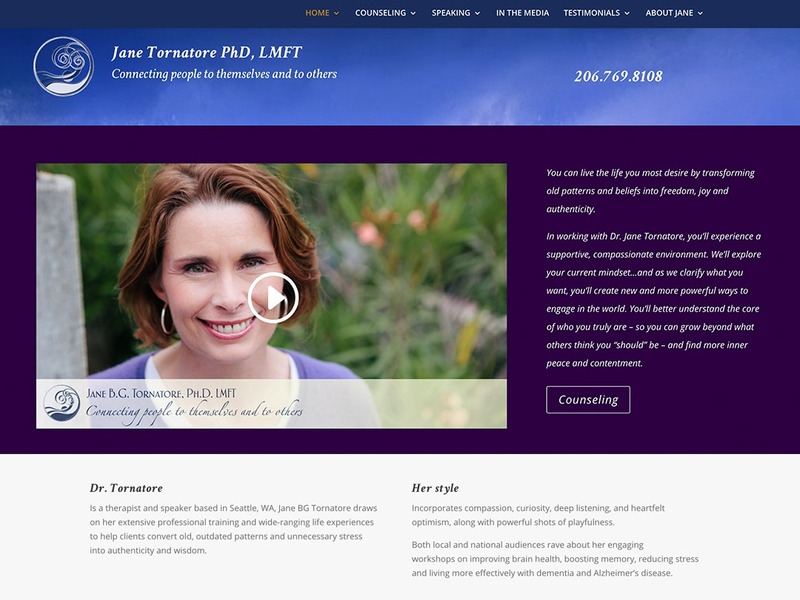 This site is filled with information about her business as both a therapist and speaker. 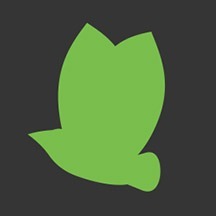 With several informative blogs connected to the site, after a tutorial, Tornatore is now able to make continual updates about upcoming groups and lectures. I designed a matching newsletter so she can send emails to her clients about upcoming events. We recently added a media page that included her on-line media presence in both news articles and video interviews.